Being selected as an official online payment provider in Vietnam by Mastercard International Organization, One Pay Company successfully combined with Vietnam Commercial Bank (Vietcombank), and International Mastercard Organization to implement One Pay – online payment solution. 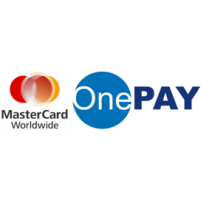 One Pay accepts all popular international cards such as VISA, MasterCard, American Express, JCB, Diners Club. After submitting your payment, you will be received the transaction’s result after only 2 to 5 seconds. OnePAY – a payment processing Technology Company specialized in providing the following technology solutions & services for Vietnam. – Simple to make the payment than before. Transactions are processed in real-time and the result is provided to card holders immediately. Card holders/buyers will have peace of mind to know that their transaction is done by receiving the transaction result within 5 seconds. – Easy and secure to use, pay anyone, anytime in different convenience places. – Fast, simple and easy process. Enhanced secured by 2FA (2-Factor-Authentication) such as OTP (One Time Password) via sms, RSA hardware token, the client transactions are ensured to be completed without and hinder. – Step 1: Fill your Credit Card details in secure online as detailed guidance in the last step of payment. – Step 2: OnePay is highly recommended rather than the other types of payment since it is much easier and simpler for users. Why does SSL make Immivietnamvisa.com become trusted? Previous post: What is Western Union?